Give the gift of a free Thanksgiving Dinner with all the trimmings - leftovers included! 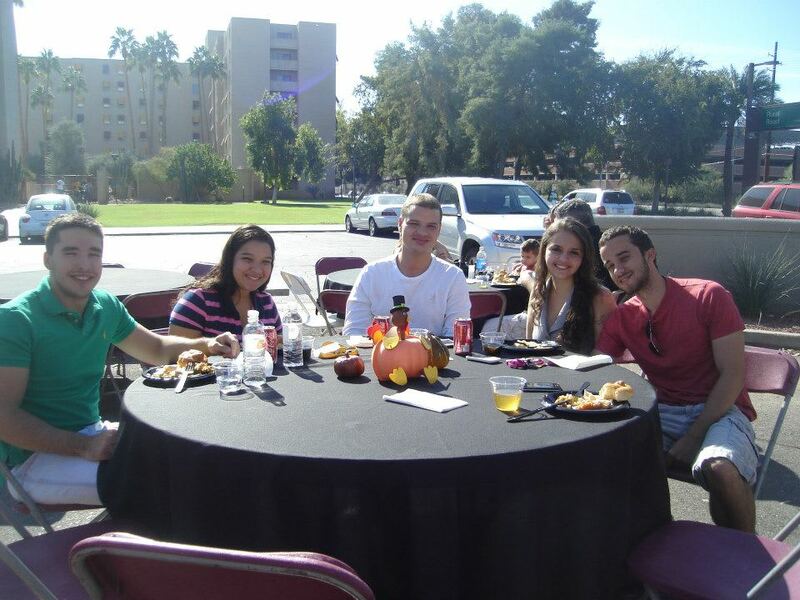 Thanksgiving dinner helps ASU students feel at home for the holidays! A gift of $100 enables the Sun Devil Family Association to feed approximately eight students. Last year, almost 400 students were able to enjoy a traditional Thanksgiving dinner despite being away from their families thanks to generous parents like you. Make this possible again with a gift to SDFA's Thanksgiving Dinner fund.